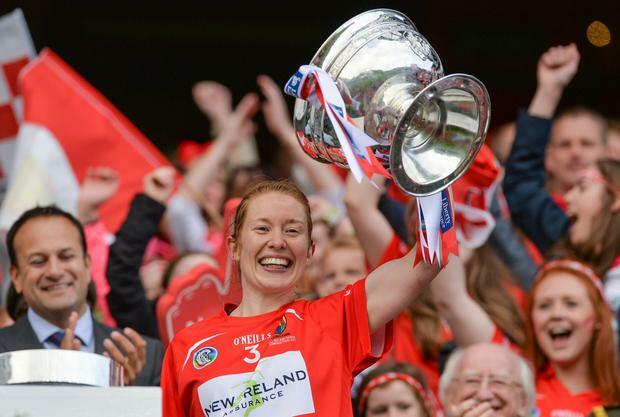 Ladies' GAA legend Rena Buckley has revealed how she was snubbed by a club where she was told they didn't want her to be involved in the presentation of medals to their U-12 boys' team. The 18-time All-Ireland champion was asked last year to present medals after an underage tournament. But she was informed, just before the ceremony started, that she would only be giving them to the girls. Ms Buckley shared the story as she spoke at the Google Foundry for 20x20, a national movement to champion girls and women in sport. She told the event how she had been invited to present the medals at the club event in west Cork last year. "The boys and girls had come together. They had won the U-14 championship in ladies' football and the U-12s in boys'," she said. "They asked me to come down and present the medals. I went along and when I got down there on the night the guy who asked me took me aside and said, 'Look, we're really sorry but the GAA team actually don't want you to present the boys with the medals'. "That was 2017, not 1986," she said. "We're looking for a massive shift in this mindset and this [20x20 event] is looking to accelerate that as quickly as we can."